What Makes a More Welcoming Food Shelf? Home » Front » What Makes a More Welcoming Food Shelf? How can we as a hunger fighting community make food shelves more welcoming? 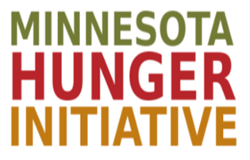 This is a question that many of our Minnesota Hunger Initiative partners regularly work to answer, and it is one that should be a part of more hunger relief discussions. Food shelf customers deserve dignity, respect, and an overall good experience when they arrive at a food shelf. Thanks to two of our partners, Hunger Solutions and Valley Outreach, we have come up with a few ways that food shelves, and the community as a whole, can make visiting food shelves a better experience. A visit to the food shelf should begin with clear signage outside of the building with hours of service as well as clear signage as to where customers should enter. By eliminating initial confusion, people will start off their trip on the right foot. Upon arrival into the building customers should be greeted by volunteers or staff, and have the food shelf’s process explained to them. Having a welcome space that has chairs, coffee, water, etc., will create a welcoming environment for customers. In addition, having a dedicated area for people to fill out forms or talk with staff is a key component for making a visitor feel safe. This area should be out of earshot of others so that everyone feels respected and the customer’s information is private. Changing the wording of signs is a simple move that can make a lot of difference. Providing signs in shopping areas that are not limiting, even if there are limits, is one way to achieve this task. An example of this would be “Up to 2 items per household” instead of “Limit 2 items per household”. Having information in multiple languages is another way to provide a more welcoming experience for all customers. Having announcements and information that promote inclusion and equity are also ways of using language to improve the food shelf experience. Part of creating the welcoming atmosphere for people is making the experience easy for them. Having an organized food shelf is crucial to attaining this goal. During service hours food shelves can get busy, making it difficult to stay organized, but the welcome area should be kept as clean as possible at all times. The shopping area should be nicely painted and bright with shelves and racks well-labeled. Putting in place a choice model with limits on items or broad categories, rather than a weight limit, will give customers more freedom. People visit food shelves for one reason: to get food. Providing people with healthy options, and a variety of them, will make for a high-quality visit. If possible, food shelves should offer food in all categories: fresh, frozen, shelf-stable, bakery, and cooler foods. 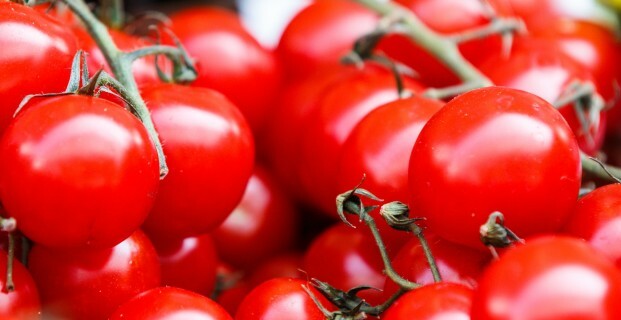 For fresh food items, removing highly soiled and rotten items makes a huge difference in the customer experience. A welcoming food shelf will not only supply food, but it will also provide other resources that customers might need. Displaying information on other resources in the area along with locations of neighboring food shelves gives people a chance to review their options. There can also be posters regarding civil rights, voting rights, and other information that gives customers a chance to read the rights that are afforded to them. Lastly, having a variety of program hours, including evening hours, will make it easier for people to make it to the food shelf on their own schedule. The ideas listed above are not tasks that can be accomplished by the efforts of only a single group of people. It is instead an effort that needs to be taken on by all: people running food shelves designing them in a more welcoming manner, food shelf volunteers exhibiting more acceptance and sensitivity toward customers, and the general public becoming educated and involved with the food shelves in their communities. These are the initial steps that can be taken in order to create more welcoming food shelves, and in turn we could see big changes in the atmosphere of food shelves and the well-being of food shelf customers.